In the near future it is planned to establish a certification center for voluntary confirmation of product quality on the basis of the Association. Similar certification centers existing within the framework of one industry (based on SRO), according to the existing legislation, are mainly created with professional associations, which excludes poor quality certification procedures from outside random organizations. Our system of training and attestation of personnel was created jointly with Rosstandart. 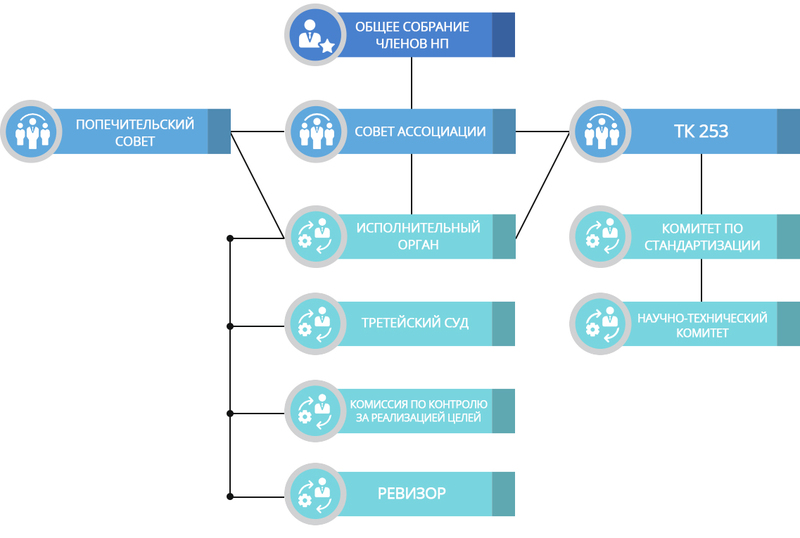 More information about the categories of specialists and training programs can be found in the section «Educational center». The Association of Manufacturers of Shelving and Warehouse Equipment introduces various certification programs, including installers of shelving and some categories of warehouse personnel. We develop professional standards and industry standards based on the standards of the organization. The Association of Manufacturers of Shelving and Warehouse Equipment is open to suggestions on the development of the industry and increasing the competitiveness of domestic producers.